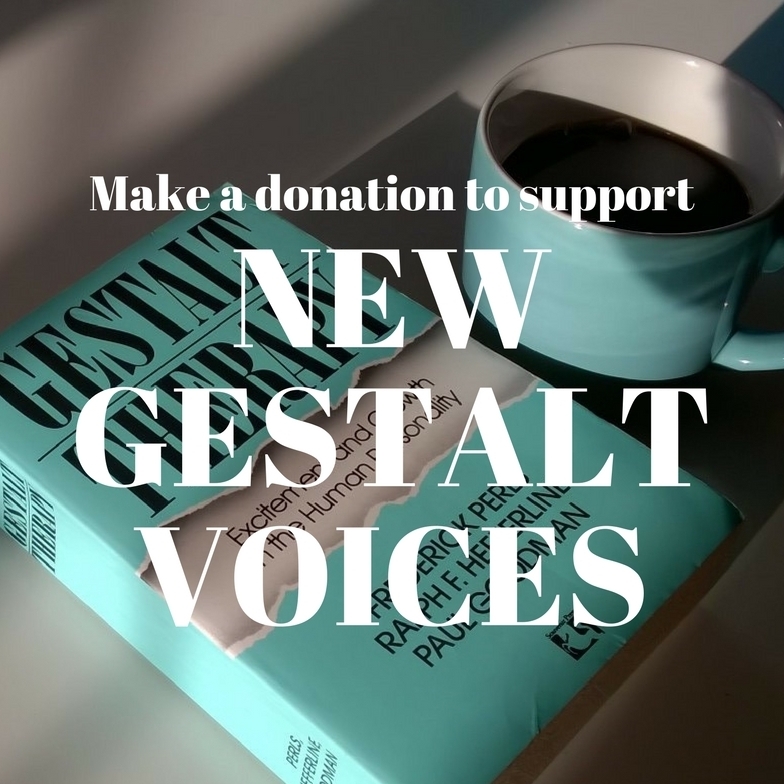 New Gestalt Voices would not have got off the ground without tremendous support from the international gestalt community, not only those involved directly but also many other therapists, coaches, trainers, and organisational practitioners who have donated funds. Below you’ll find a list of the people and organisations whose generosity has enabled us to set up this website and produce the first issue of the journal. We intend to continue developing the NGV project on a very tight budget. While members of the editorial team are volunteers who give their time freely, nevertheless, there are unavoidable ongoing costs we must meet in running the website and publishing the journal. If you feel inclined to make a donation, it would be very helpful and greatly appreciated! Simply click on the button on this page, and you’ll be taken to New Gestalt Voices PayPal account, then insert the amount you’d like to give. For those who represent a gestalt training organisation, or individuals who offer workshops or other events, services or products for practitioners and trainees, we’re happy to feature an advert in our events and notices section, both on the website and in the journal, in return for your support. Please add a short note in the donation app’s message box if you would like us to run an advert or notice for you, and then we’ll contact you for details.